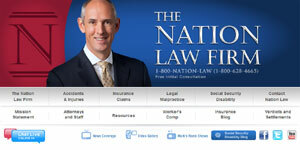 The Nation Law Firm is a Central Florida based personal injury law practice established in 1997 by Attorney Mark Nation. Mr. Nation is a former police officer who is devoted to helping the people of the greater Orlando, FL area. The Nation Law Firm has years of experience dealing with a variety of accident and wrongful death cases versus some of the largest, most powerful insurance companies in the world.